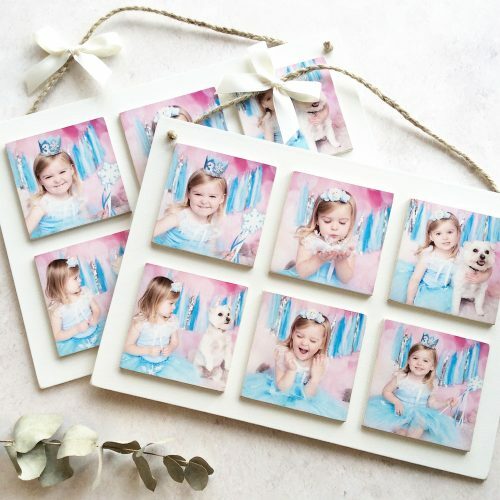 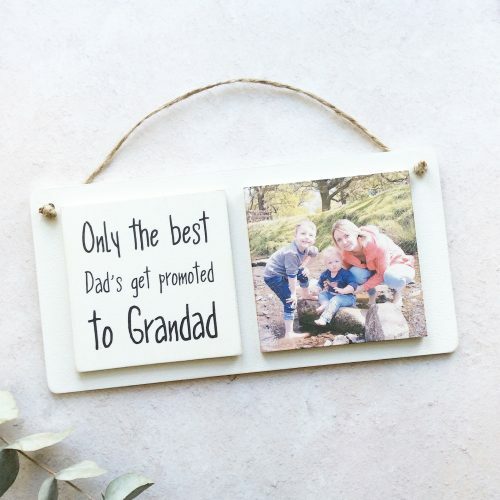 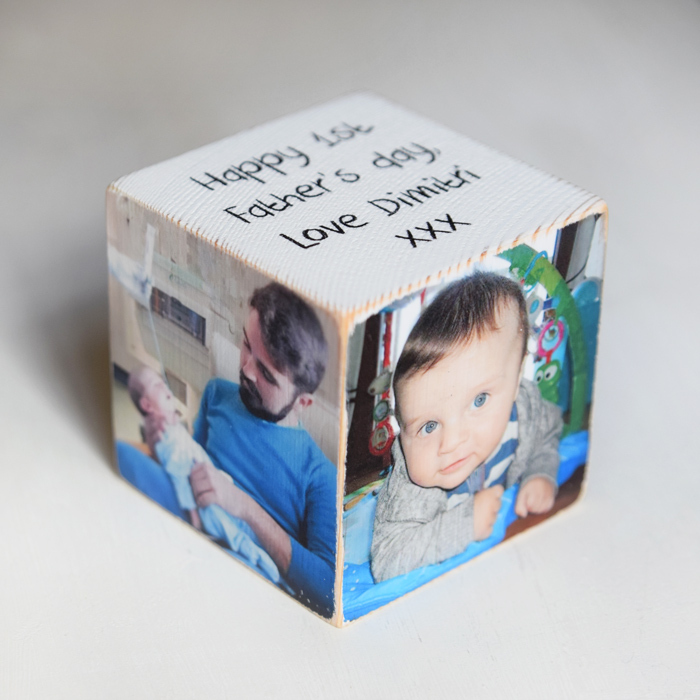 A gorgeous free-standing personalised wooden photo cube to display your treasured photos. Hand crafted from solid pine wood, each photo can be edited and enhanced before creating the photo cube if required. Each photo cube measures approx 7cm x 7cm x 7cm. 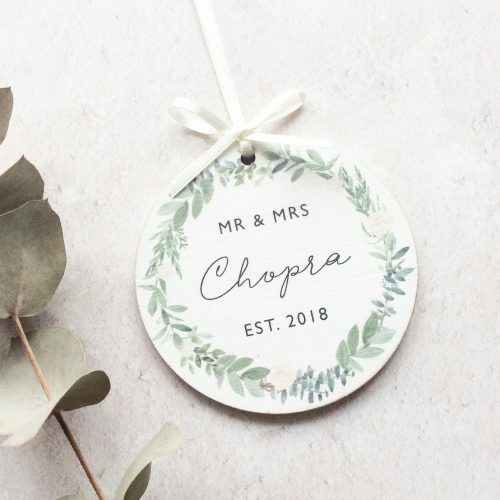 If you’d like any wording on one side, please specify this in the box below and remember to minus a photo. 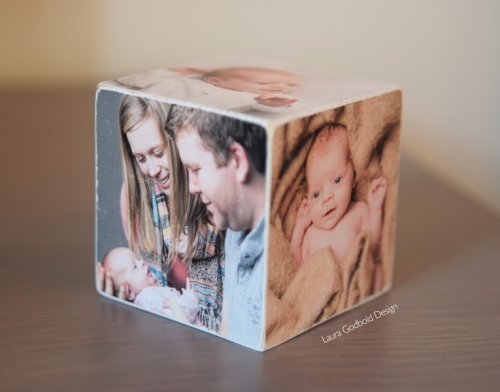 NO PHOTOS/WORDING on the bottom of the cube. 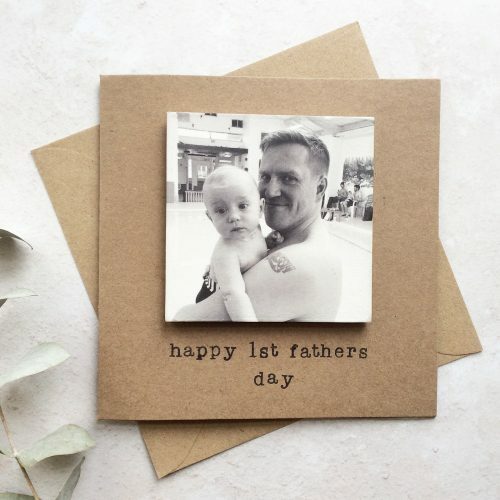 Please email your chosen photos after you have ordered to info@lauragodbold.co.uk with your order number. 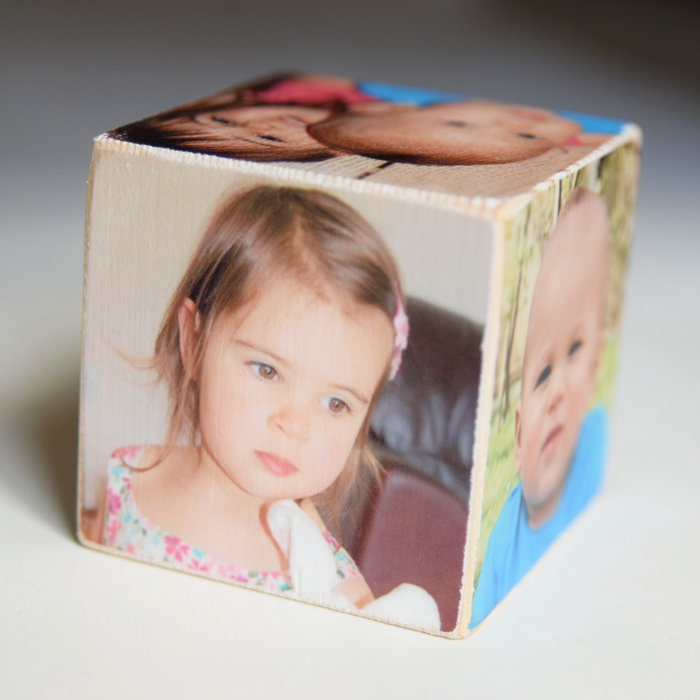 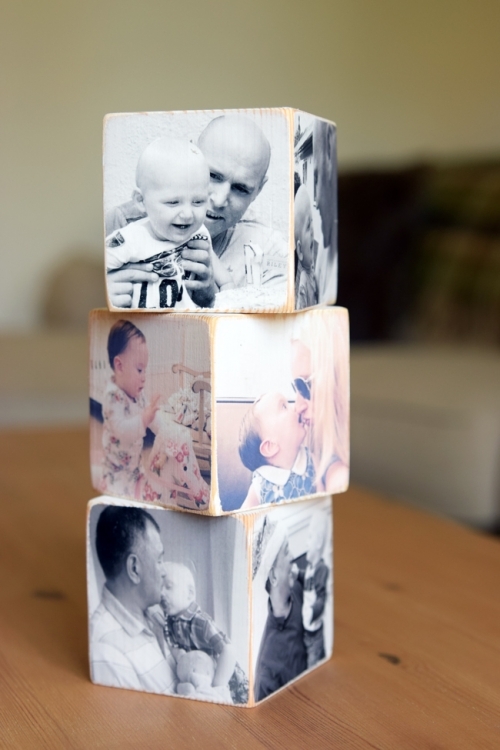 Personalised Wooden Photo Cube. 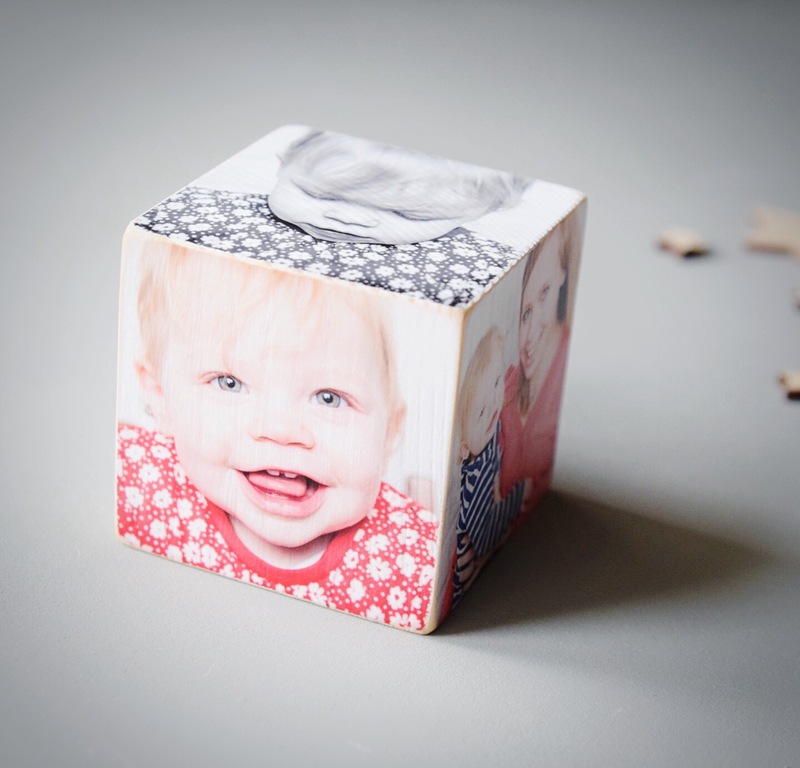 Solid pine wood.